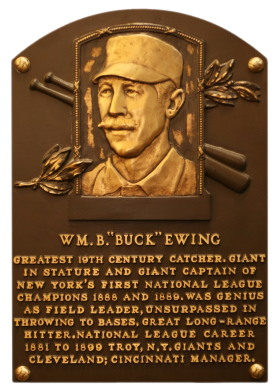 Connie Mack called Buck Ewing "the greatest catcher of all-time." He eclipsed the .300 mark in 10 seasons, including a string of eight straight times. 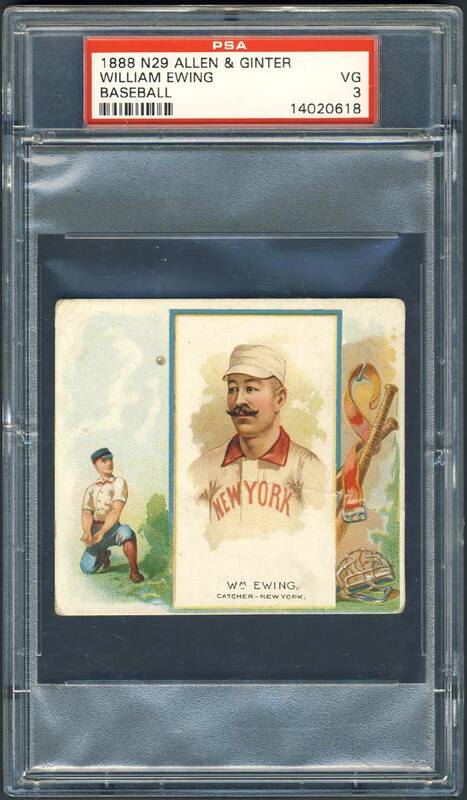 Ewing had a lifetime .303 batting average and scored 1,129 runs. Comments: I started off with a tribute card, by purchasing a 1990 Baseball Wit PSA 8 on eBay in March, 2003. In February, 2009 a PSA 3 N43 card was offered on eBay by seller David Bryan (davidbvintage) and I won the auction. It was an amazing win and a huge 19th century acquisition for me. This card has very attractive multi-colored artwork, crisp image quality and slightly rounded corners. No significant impairments are visible. Description: Presumably issued in a larger-than-standard cigarette package, the 50 cards designated N43 in the "American Card Catalog" are enhanced versions of the Allen & Ginter World's Champions (N29) series of 1888. As withe the N29 set, six of the athletes in N43 are baseball players. The larger cards measure about 3-1/4" X 2-7/8" compared to the 1-1/2" X 2-3/4" size of the N29s. The larger format allows for the use of baseball-related color lithography to the right and left of the central player portrait. 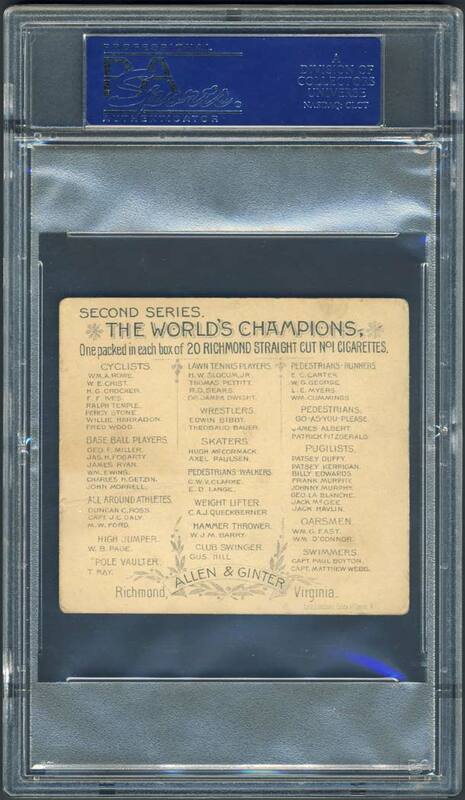 Like the N29 cards, backs of the N43 A&Gs present the entire 'Series Two' checklist along with advertising of the Richmond tobacco company.